The Borough of Thornburg, Pennsylvania, was originally founded in 1899 when cousins, Frank and David Thornburg formed a company to develop 250 acres into a suburban community. To learn more, click here. 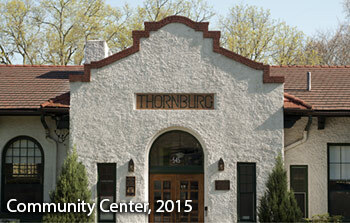 Information about the Thornburg Community, Community Center, Public Parks, Schools, Photo Gallery, and more. Click here. Information about Local Government, Council Meeting Minutes, Borough Ordinances, Right to Know Laws, Tax Information, and more. Click here. 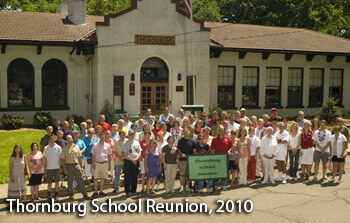 The Borough of Thornburg is located in Southwestern Pennsylvania, approximately 4 miles from downtown Pittsburgh. Surrounded by scenic hillsides and situated on a bluff, the community overlooks Chartiers Creek and valley. 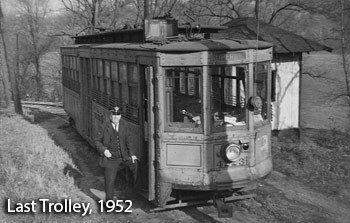 The Borough was the site of the first railroad built in Pennsylvania to take coal to market in 1849 and is a significant example of early suburban planning. Today, Thornburg residents continue to enjoy a pastoral setting, complete with parks and recreation, with convenient access to the city.